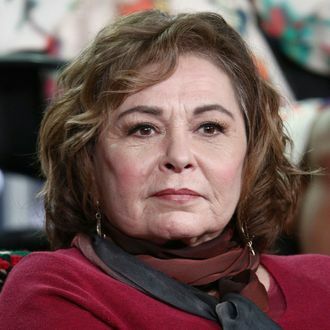 Because the hits just keep on coming, pharmaceutical company Sanofi has broken its silence on Roseanne Barr’s claim that a racist tweet was a, um, side effect of taking Ambien during Memorial Day weekend. On Tuesday, Barr posted a tweet saying Obama administration advisor Valerie Jarrett was the product of of the Muslim Brotherhood and Planet of the Apes. Barr issued an apology and said (in a now-deleted tweet) that she was “ambien tweeting.” She then clarified that the drug wasn’t an excuse, she was just adding context. “Yes, I have had odd ambien experiences on tweeting late at night-like many other ppl do,” she tweeted. Perhaps whoever’s running Sanofi’s social media could help Drake with his Pusha-T rebuttal?